GUEST ARTICLE: Dave Allen – What Next For The Doncaster De La Hoya? When Doncaster’s likeable Dave Allen agreed to face rising Domestic Heavyweight, Nick Webb on the recent Dillian Whyte v Joseph Parker bill at the O2 Arena, London, fans worried for him. Allen was only five weeks removed from a brutal, one sided, tenth round stoppage defeat to 2016 Olympic Gold Medallist, Tony Yoka in France. Added to this, Allen alluded on his ever-popular Twitter account that he was hardly training, and his love for the sport was on the slide. All of this seemed to add up to a simple enough Nick Webb win, and potentially the end of the road for Allen. 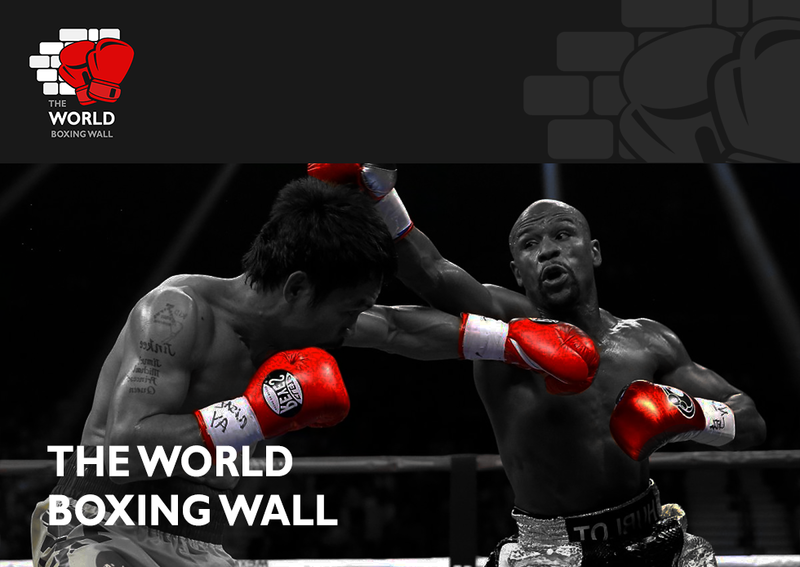 What transpired was one of the feel-good Boxing stories of the year. After a slow start, Allen upped the ante and threw a right hand from his waist that detonated on Webb’s chin, robbing the Chertsey man of his senses, and giving Allen a significant victory. Now that the dust has settled on this victory, questions now arise as to what the Yorkshireman’s next move will be. Does he have the ambition to challenge again for Domestic honours? Or will he accept any fight for decent money? Conceivably, as Allen’s contest with Webb was a British Heavyweight Title eliminator, this should put him in a strong position to be in line for the next shot at the belt. Also, with current Champion Hughie Fury likely to meet Bulgarian Kubrat Pulev in an IBF World Title eliminator this year, Allen could benefit from this with a shot at the vacant Title. He first came to prominence after accepting a short notice assignment against Dillian Whyte in July 2016. 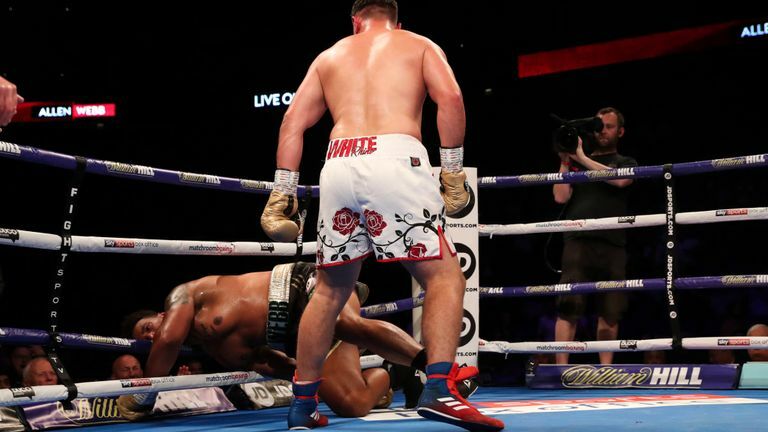 It was a shutout points victory for Whyte, but Allen lost nothing in defeat. He enhanced his profile greatly in his next fight, agreeing to take on the much avoided Cuban, Luis Ortiz in Manchester five months later. Allen put in a spirited display against Ortiz, however, he was defeated, as expected, via seventh round stoppage. Allen grew in defeat, and opportunities were quick to come his way. Twice before, Allen has unsuccessfully challenged for the Commonwealth Title. His first effort was a dour one. Promoter Eddie Hearn managed to negotiate for the then Champion, Lenroy Thomas to defend his Title against Allen on the big Kell Brook v Errol Spence Junior bill at Bramhall Lane, Sheffield in May last year. Allen would probably the first to admit that he just didn’t get going on the night, and lost on the cards in a tough watch. Hearn managed to book the rematch in February this year at the Sheffield Arena, but Allen was to suffer first-round heartbreak, as a clash of heads left him unable to continue with a nasty cut that had developed, and the fight was ruled a technical draw. If Allen had hoped for the trilogy, this was dashed in ruthless fashion by 2016 Team GB Olympic Silver Medallist, Joe Joyce, who ripped Thomas’ belt away from him in two one-sided rounds. Allen’s win at the O2 could very well lead to him having to take on a tough assignment against Joyce as a reward for his career-best win. It could be likely that the British Boxing Board of Control could install Joyce as one of the challenger to the British Title should Fury vacate as expected. It could at least guarantee Allen another Sky Sports Box Office payday on an undercard to a big bill. He has appeared on five pay per view bills now. Quite remarkable for a fighter that mostly features down the card, but is never afraid of a challenge. Other contenders to be considered would have been David Price, who may see the British Title as a road to recovery, and Frank Warren fighters, English Champion Daniel Dubois and Nathan Gorman. How easily these matches can be made would remain to be seen. It will also be interesting to see the Board’s stance on the Title situation if indeed Fury does decide to vacate. If the British Title isn’t an option, then there have been friendly exchanges on a fight between Allen and the Australian former WBA Champion, Lucas Browne via social media. Browne was last seen on these shores succumbing to a sixth-round hammering by Dillian Whyte in March this year. This would be a decent test of Allen’s ambitions, and with the right mentality and training camp, it’s a fight he would have every chance in. One thing is for sure, Allen has built a very good fan base, and it would be good to see how far he can go with the right preparation. The Webb win should now open some more lucrative doors for him, now he just has to walk through the right one.